Thursday, Apr. 18, 2019, 3 – 8 p.m.
Let’s resolve conflict in society! 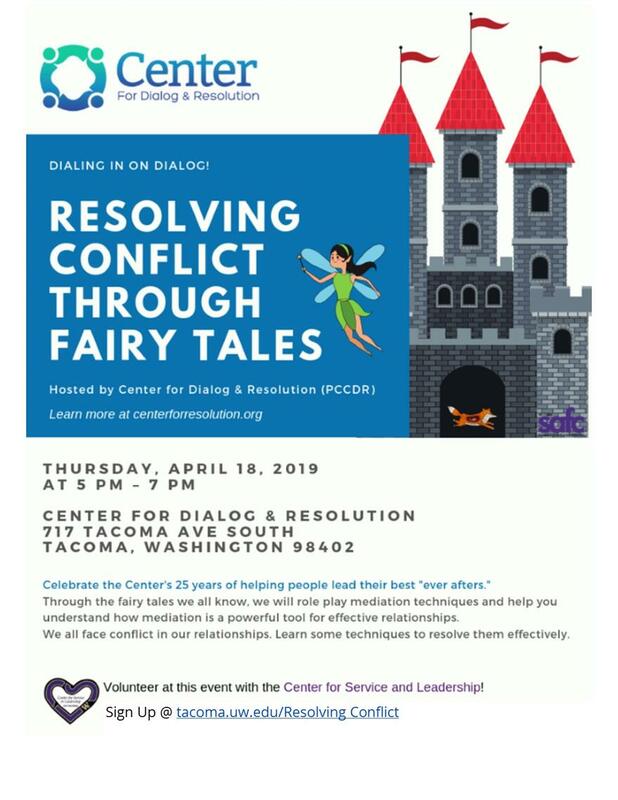 Students can participate in this event (whether attending or volunteering) to learn more about effective conflict mediation through roleplaying well-known fairytale stories. This service experience and event is hosted by the Center for Dialogue and Resolution here in Tacoma.